Whether you’re looking to sell or aiming to maintain your home’s beauty, a little bit of landscaping goes a long way. Having a slickly trimmed yard tells potential buyers that you pay attention to details and that you likely pay equal attention to the inside of the home as well. Plus, there’s no better way to showcase pride for your home than with boosted curb appeal. Here are some easy, yet strategic tips you can use to maintain that sharp landscape look all summer long. Keep up with weeds and watering. Both of these require little time if done gradually, but sleep on either and there could be long-term consequences, such as dead or browned grass or a massive weed infestation. Spend some time every couple of days to help keep weeds at bay and grass green—your outdoor chores will seem way less intimidating if you keep up with them. Adding trees adds value. In some cases, having trees on your property can boost sales prices by 10-15 percent. Trees also remove carbon dioxide and pollution from the air, so people view them as an eco-friendly option. But be sure to keep your trees properly trimmed each season and watch out for any droopiness; droopy branches could be indicative of a rotting or dying tree. Use flowers and shrubs sporadically. Planting your favorite flowers can give your yard that little bit of POP it needs. If you need more flexibility, scatter potted plants around the yard, so you can move (or remove) them as needed. Also, consider planting a few shrubs where it makes sense. Not only will they give you some privacy, but shrubs are very low maintenance and don’t require that much water. Crunched for time? Consider xeriscaping. Not only can it save up to $23 in water expenses each month, but having a xeriscaped yard (or partially xeriscaped yard) can save homeowners heaps of time outdoors. Fortifying soil with compost or manure is key to balance water retention. Start with a healthy layer of mulch for added absorption. If you live in a drought area, consider using cacti, agave, juniper and lavender. Herbs like thyme and sage, and foods like sapodilla fruits or black walnuts also flourish without excessive watering. Think about every season, not just spring. If you live in a part of the country that celebrates all four seasons, think about every season when planning for your home’s landscape. Blooming bulbs are great for spring, but try annual beds for summer, brightly leaved shrubs for fall, and evergreens for the winter. Your home should have an outdoor appeal no matter what temperature it is outside. 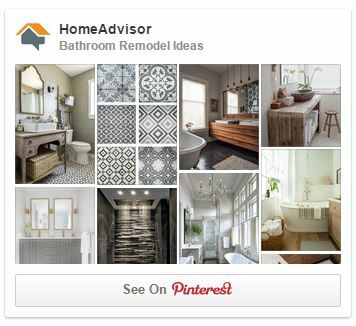 Plus, it’ll wow your future prospective buyers—win-win! 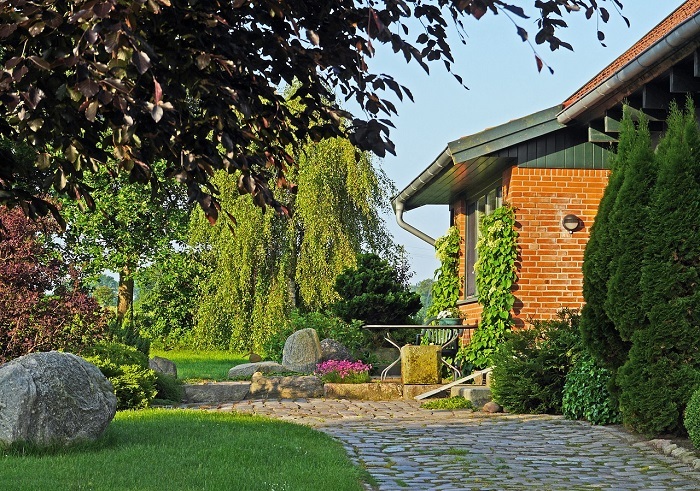 Of all the improvements that can boost your home’s value, landscaping can get you one of the largest returns on investment when it comes time to sell. But if you plan on staying put, taking the time to plan your outdoor look and maintain your yard will allow you to enjoy it for years to come.